The Revolution team is excited to announce our new $525 million Revolution Growth III fund, exceeding our initial $450 million target. Building on the same philosophy and efforts of our previous Growth fund from 2011, Revolution intends to continue its commitment to invest in entrepreneurs and companies located in “Rise of the Rest” regions — meaning that the vast majority of Revolution Growth III’s capital will be invested in companies located outside of Silicon Valley. Our team is passionate about investing in and helping the next generation of entrepreneurs change the world by building iconic billion dollar companies. We see so much potential across the U.S. and remain dedicated to finding and investing in companies outside the Bay Area that are creating innovative technology to transform multi-billion dollar industries like health care, education, transportation, energy, financial services, food and government services. In this new fund, we hope to repeat our past success by being highly selective and only making three to four long-term investments per year, each in the $25–50 million range. By focusing on fewer companies, our partners can be more collaborative and hands-on with the entrepreneurs they back, using their expertise to help execute on ideas that will change the world. We feel in order to build disruptive, innovative businesses that offer consumers more choice, convenience, and control in their lives, our support must extend far beyond capital. 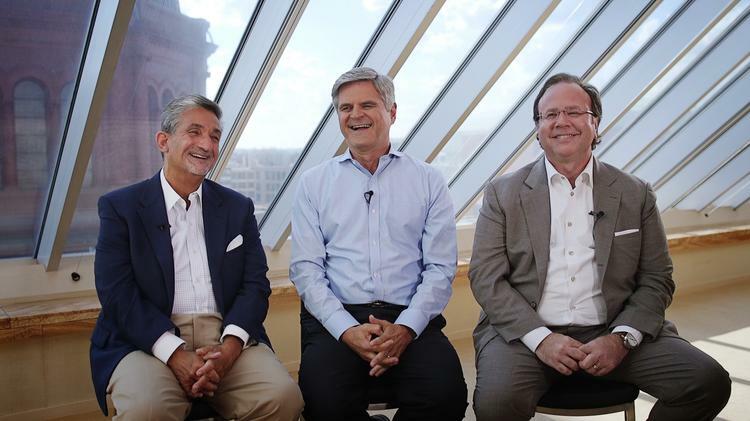 Our team is led by proven entrepreneurs, business builders and investors Steve Case, Donn Davis, and Ted Leonsis as well as newly named partners Evan Morgan and Scott Hilleboe. We also recently welcomed four new members to the team — partner, Steve Murray, a 20-year venture capital veteran at Softbank, and vice presidents, Kristin Gunther, Ashley Larson and Chris Hughes, joining associate Patrick Conroy. Revolution believes that the value it provides will be increasingly important as the Third Wave of the Internet accelerates, and partnerships and policy become more important. In this next wave, the most successful companies will understand the importance of forming partnerships with outside organizations and have a grasp on the policy issues they will encounter.